Dr. Daniel L. Levin is "a rare find." His patients will attest that he is compassionate and committed to every patient, and is a physician who gives his complete attention and time to tend to your concerns. Dr. Levin's private practice specializes in primary care, internal medicine, and nephrology with special focus on hypertension. He is affiliated with North Shore LIJ Glen Cove Hospital. PLEASE NOTE: It is important to enter your insurance information so our office can see if Dr. Levin is in your network, you need referrals, and/or a change of your primary care doctor in order for your insurance to cover you visit. Dr. Levin does not prescribe or refill "controlled" substances at the first visit. Dr. Levin does not speak Spanish, if you need help we request you come with a family member who can interpret for you. He was a very good doctor however he and the receptionist were constantly diverted to the phone. He left me in the exam room for 5 minutes when the receptionist called him out for a phone call. I also waited overa half hour in an empty office while they handled phone calls before I was seen. I love Dr. levin. He is a true doctor, very knowledgeable and professional, very rare to come across doctors like him, I highly recommend you to see this doctor. He listens what you have to say,he asked a lot of questions he truly cares about his patients. Great great doctor! Gave very detailed explanations and took his time taking a detailed history and gave a complete physical. Will definitely return, a knowledgeable doctor. A wonderful compassionate doctor. Extremely professional and great office staff. 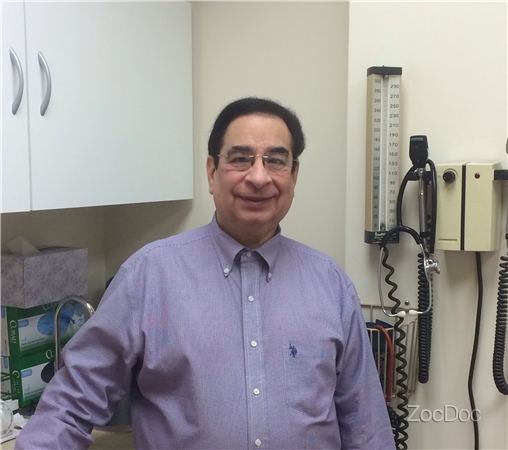 Dr. Daniel Levin, MD has no appointments on Zocdoc right now.